The sustainability and viability of the work carried out in the Humana cooperation projects are fundamental. 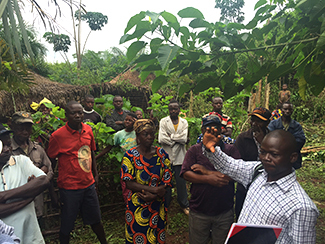 One example is the two agriculture projects implemented in Gemena, in the Democratic Republic of the Congo, completed around one year ago. Together, both actions, based on the Farmers Club model, involved more than 21,000 small producers. Today, most of them are still organized in the Clubs and working together, applying the sustainable agricultural techniques learned during the project. However, there are some not so positive aspects: the number of farmers has declined and although it has been an element addressed during the implementation of the projects, gender differences can still be observed: women continue to assume the vast majority of both in the field and at home (provision of water, firewood, food, etc.). The first one was developed with own funds and funds from the Spanish Agency for International Development Cooperation (AECID) and Sympany; the duration was five years and the number of producers involved was 4,000, which had the constant and extensive support of the Humana People to People Congo team, since part of it was set up in the communities themselves, where many neighbors who were not part of the project learned and reproduced the techniques shown; in addition to purely agricultural and productive aspects, the project included issues such as adult literacy, sanitation or sanitary conditions, which resulted in more positive results and improved living conditions in the community. In the second case, the duration was only two years (insufficient to acquire all the knowledge imparted), and the methodology to implement the project was defined by the donor, which meant that only the production scope. The analysis of all these results and the accumulated experience will serve as the basis for the design and development of future Farmers Club, enhancing the positive elements and trying to eliminate or at least minimize the negatives. The agricultural projects implemented by Humana People to People members involve 90,000 farmers distributed in about 400 projects in 14 countries, a number that allows a global assessment to be carried out and a large amount of information gathered in order to improve future Actions. 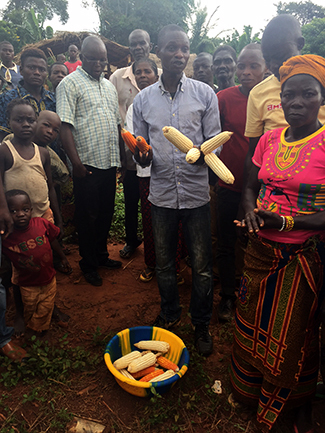 At the moment, HPP-Congo continues to work in the area with another Farmers Club, which includes a thousand farmers and ends in December this year. Last year the Foundation allocated 152,764 euros to cooperation projects in DR Congo, coming from the funds generated with the valuation of used clothing.